Use our PieSync connector to import your contacts from other apps. PieSync works in the background and integrates your contacts in real time. This means you will have access to the most up to date customer information, no matter where you are or who entered the data. You can even enable 2-way sync, so that every time you add or update a contact in myphoner, it is automatically synced with the other app, and vice versa - eliminating import/export! 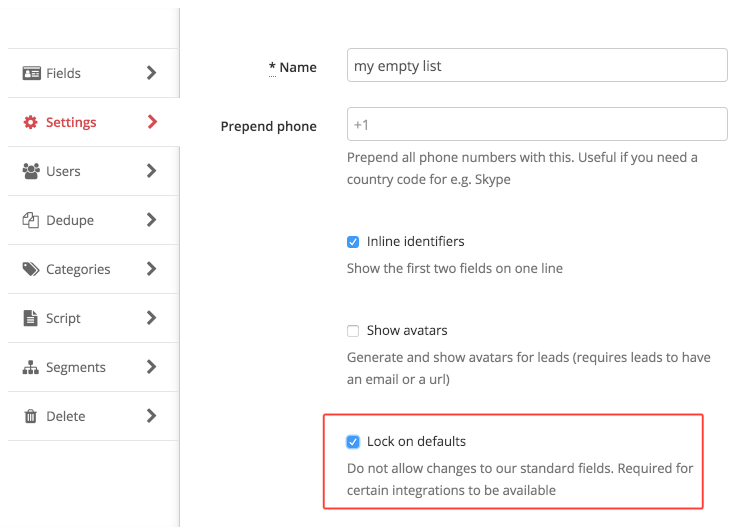 Before you start sync'ing you need a list in myphoner, that holds our default fields, and has been "locked to defaults" to prevent the sync from breaking if you change the name of a field. Create an empty list. Go to Manage Lists Add a new list , click on "Empty list" and type in a name for your list and hit "Next". On the next screen, click "Use default settings". 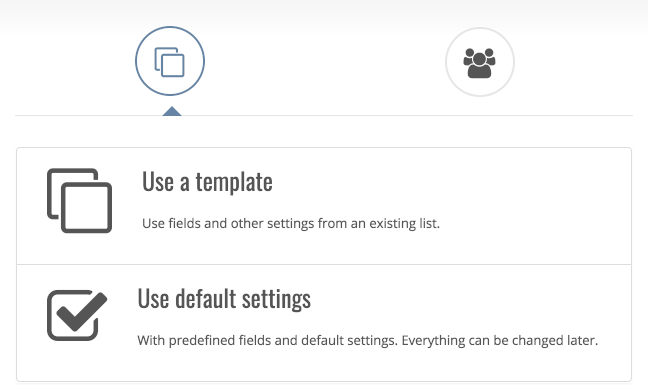 After choosing users and hitting "Next", you'll see the list configurations screen. Go to "Settings", tick "Lock on defaults" and hit "Save". Chose "Use default settings" to prepare a new list for synchronisation. You need to lock your list on defaults before you can start a sync with PieSync. Once you have a list ready to sync with - go to PieSync and pick your connector.